With seasonal changes often come thoughts of personal and professional improvement—how can I approach this new time of year in a way that allows me to lead a better, healthier life? 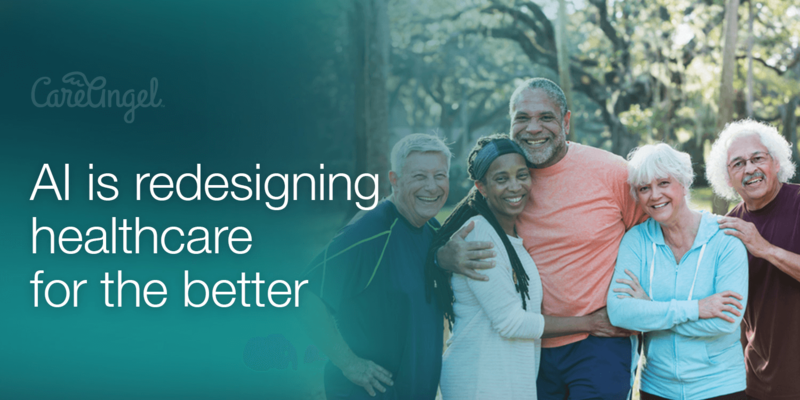 Now that summer is fading and fall is fast approaching there is arguably no better time to appreciate the impact of change, particularly in regards to how you can help improve the health of your members and patients. In recent years AI (artificial intelligence) has blossomed as a leading source of improving healthcare engagement, management, monitoring and care coordination. The development of technology has paved the way for a multitude of remote care delivery options to continuously care for those with one or more chronic conditions. There is solid proof that the nation has embraced the change to digital health tremendously; in fact, with each passing season, utilization of virtual care is soaring. According to an article in the National Law Review, at least 7 million patients in the U. S. will access telemedicine services in 2018. Care Angel is combining the capabilities of virtual health and AI with voice to expand the versatility of patient engagement, creating a truly patient-centered approach to care beyond acute episodes. By means of our intelligent virtual nurse assistant, Care Angel has developed an exceptional approach to patient monitoring and health management that is a game-changer. Our AI enabled virtual nurse assistant, Angel allows providers, payers, members, and patients to communicate bi-directionally between office visits or after hospitalization to improve care plan adherence, patient satisfaction, health and financial outcomes. Automated Intelligence (AI) and voice are the perfect combination for personalized health monitoring and data gathering when it comes to your patient's vitals and wellbeing. Our real-time alerting system allows you to foresee potential problems before they occur. Additionally, patients are becoming more tech-savvy and want to manage their health using technology; Virtual nurse assistants deliver the perfect outlet for that desired interaction without the barriers of complicated devices or expensive hardware. Virtual nurse assistants comprehensively and proactively promote chronic condition management on a consistent basis. This keeps medication adherence and care coordination in check for tens of thousands of patients. Our HIPAA compliant platform also feeds into custom workflows (including live transfers to providers or call centers) to help drive the highest quality and efficiency at the lowest cost for all stakeholders. Imagine if each nurse or care manager could be 300% more efficient. Virtual nurse assistant, voice solutions allow physicians and clinicians to focus on where they create the most value: the patient encounter. Automated intelligence takes the repetitive, redundant tasks away from the caregivers so they can practice at the top of their license capabilities. Meeting patients “at their need” helps the patients stay on course with treatment plans and increases provider awareness of potential gaps in care. When a medical need arises, the provider is notified in real time with the knowledge he or she needs, leading to improved patient outcomes and better healthcare management over greater populations. How many times have the following 5 words been used in reference to a healthcare management experience? “If only we’d known sooner.” Knowing in advance when a patient didn’t sleep well, was in pain, had out of range vitals, was in need of medical supplies or medical services can help protect the patient from an adverse episode or hospitalization. How Do We Make Healthcare Better and More Human? Ironically, with changing, advancing AI technology has come the ability to change and advance the humanistic approach to healthcare management. Think of it this way: the more specifically you can identify the patients that are in need and what those needs are, the more likely it is that you’ll be able to close those critical gaps in care. This will not only lead to an excellent patient experience, it will also allow for an efficient use of provider time and resources. The game truly changes when an entire community is rallied toward solving the challenge of making healthcare more human. Interested in learning more? Contact Care Angel today and begin your journey toward better healthcare management with our virtual nurse assistant, Angel.